Inntel was established in 1984 and is now the largest independent meetings and travel management company in the UK with a spacious and modern HQ in Feering, Essex. We provide our clients with a broad range of meetings and travel related services including venue finding, accommodation, travel bookings and event management. We have an excellent reputation in our industry for our friendly and professional people, the high standard of our customer service and the effort we put into understanding our clients’ different needs and creating a tailor-made solution for them. The most important word in the whole of the last sentence is ‘people’ – because the quality of any service is dictated by the people providing it. So we understand the importance of finding the right people and treating them well. We find the right people and treat them well. Could you be right for Inntel? Inntel are currently recruiting for a full time Business Travel Consultant to join our team of experts to accept requests from clients for all services including hotel accommodation, low cost airline bookings, rail, car hire and associated support services. Inntel are currently recruiting for a Systems Engineer to support desktop, server & mobile hardware and software to deliver efficiency with minimum down time. Inntel are currently recruiting for a Supplier Partnership Administrator to join the Supplier Partnerships team to support in the relations and daily management of venue suppliers to ensure Inntel achieve the greatest value for money, consultancy expertise and industry leadership for our clients. Inntel is a privately owned company with a reputation for being dynamic, entrepreneurial and innovative (especially where IT is concerned). We have grown from a small family business into a force to be reckoned with – without sacrificing any of our family values – and we work in an exciting and fast moving industry supporting diverse clients in their own busy operations, from banking giants such as Lloyds to media companies including Channel 4. So there are many good reasons to join Inntel. Here are just five. Security - Inntel is the largest and fastest growing meetings management business in the UK and, according to the 2015 Best Companies Awards, an ‘Outstanding’ place to work. 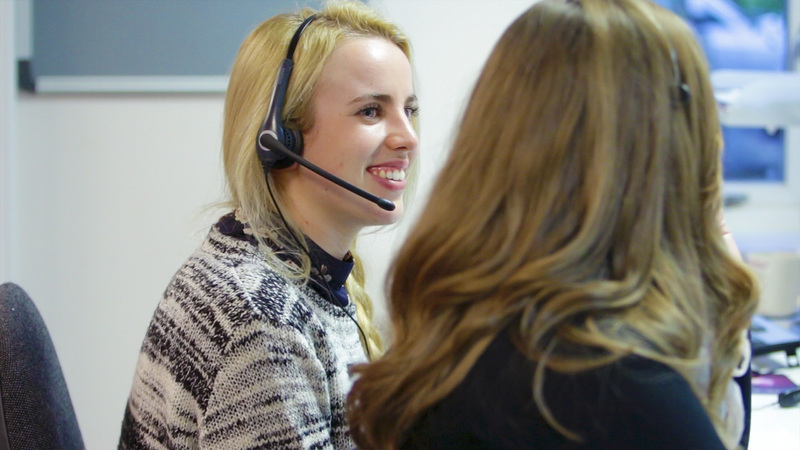 We have an excellent reputation as a service provider and employer with client and staff retention rates to match – the average length of service of an Inntel employee is now more than seven years. Fulfillment - Inntel is 100% committed to the ongoing professional development of its staff. Our dedicated Inntel Academy organises and delivers a personalised programme of learning and skills training for every single member of staff (at the company’s expense) ensuring you have the skills you need to do your job to the best of your ability or to prepare you for the next step up the ladder. Opportunities - At Inntel you can have several different jobs in one satisfying career. Our work is all about people and places, arranging travel, booking accommodation, managing events, and delivering the highest standard of customer service. Thanks to our internal promotion policy, you are free to apply for opportunities in different departments, knowing we’ll help you to fill any skills gaps. Rewards - We make our people feel valued at work while appreciating they need time to enjoy life outside of work too. Our package of benefits includes a minimum of 23 days holiday (plus 8 bank holidays), childcare vouchers, a Christmas club saving scheme, preferential rates at UK and international hotels, discounted gym membership and discretional annual bonuses. Pride - Quite simply, Inntel is an employer you can be proud of. We are a longstanding Investor in People (since 2004) with ISO 9001 accreditation. We do plenty of ‘giving back’ to the community, such as organising annual volunteer days at the local hospice and sponsoring Coggleshall Cricket Club. And each year we raise a lot of money for a charity nominated by the Inntel Employee of the Year. (For 2018 it’s the Children’s Burns Club at the Mid Essex Hospital Trust). Stat: Percentage of our staff have been working at Inntel for over 5 years. Stat: Percentage of our staff have 10+ years’ service. Stat: Percentage of our staff who are returning employees. There’s a good reason that the average length of service of an Inntel employee is more than seven years. We are committed to Investing in our People. We understand how important it is for people to feel valued at work while having time to enjoy life outside of work. We know that we are part of a community, and we believe in giving back. This is the best possible solution for us. We now have the dedicated attention of someone who is an expert, being industry trained and highly experienced. Better still, there are others available to step in if needed to ensure we receive a seamless and round-the-clock top quality service, which is more than we could hope for with an in-house travel desk.